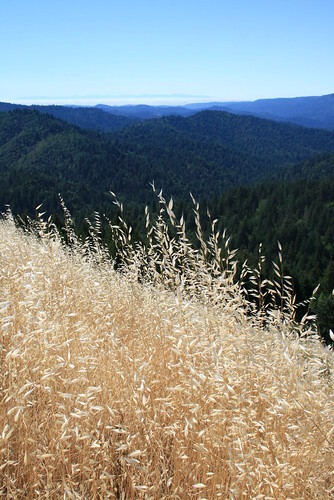 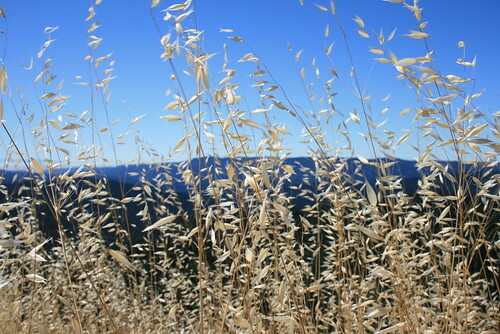 The redwoods in the mountains of Castle Rock State Park contrast with the golden hill sides of wild grasses. 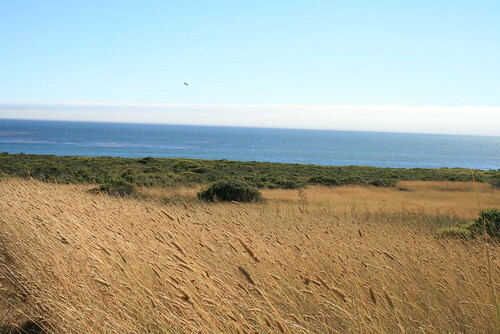 The Pacific Ocean at Ano Nuevo State Reserve. 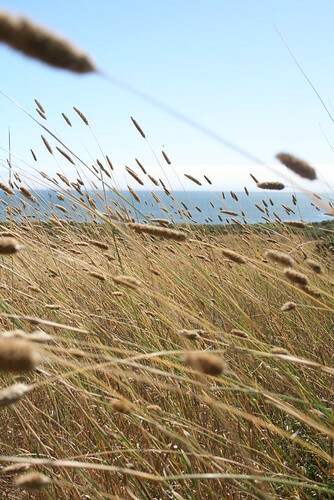 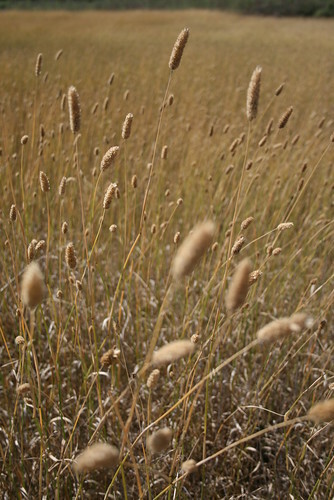 Wild grasses blow in the ocean breeze at Ano Nuevo State Reserve.